Do you wear contact lenses but are not satisfied with your current solution? Although I stopped wearing contact lenses years ago, I remember avoiding wearing them because they were *so* uncomfortable. My eyes would hurt or itch, and if I wore them all day then my eyes would be sore for days. I really wish that Biotrue had been available back then! Biotrue works like your eyes to provide you with the health and comfort your eyes deserve, helping to make lens wear easier on your eyes." 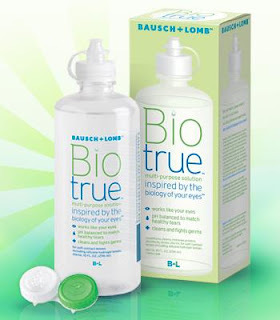 I love how Biotrue is a great disinfectant while staying true to your eye fluid composition. It's made with a lubricant that is found naturally in your eyes and is even the same pH! Maybe if I had been able to use Biotrue, I wouldn't have shoved my contacts in a drawer and tried to forget about the eye pain... In fact, "81% of people who tried Biotrue say it feels like their natural tears." Now *that* is pretty amazing. How would you like to win a Biotrue re-usable tote bag? There will be 4 winners! Comment here and tell me about your eye care woes. 11) Vote for this blog by clicking each of the following icons for 1 additional entry per click (a total of 3 additional entries). You can do this once per day, and be sure to comment on all giveaways you're in! 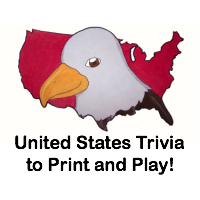 Please comment 3 times every day that you click to let me know you clicked for each one. This giveaway will close on April 30, 2011 at midnight. We received a re-usable tote bag and a sample of Biotrue free of charge for the sole purpose of this review; no other compensation was received. All opinions expressed are my own. I very rarely wear my contacts now, in part because my special astigmatism contacts are so expensive. But my glasses keep getting smashed by my twins. The people at the optometrist all know me on a first-name basis. i wear contacts and they always seem to get dry after a few hours. i am wearing glasses mostly now as i wait on the tins to arrive. Allergies keep my eyes miserable right now - they are often red, itchy and burn. I wear contacts daily so I'm always having dry eyes and itchy eyes! My eye care woes? I wear contacts and don't take them out as often as a I should. So my airs are dry a lot.